Quick post from the port terminal in Yokohama, where we have lightning fast internet. Awesome day today in Hakone. We started the day at Mt. 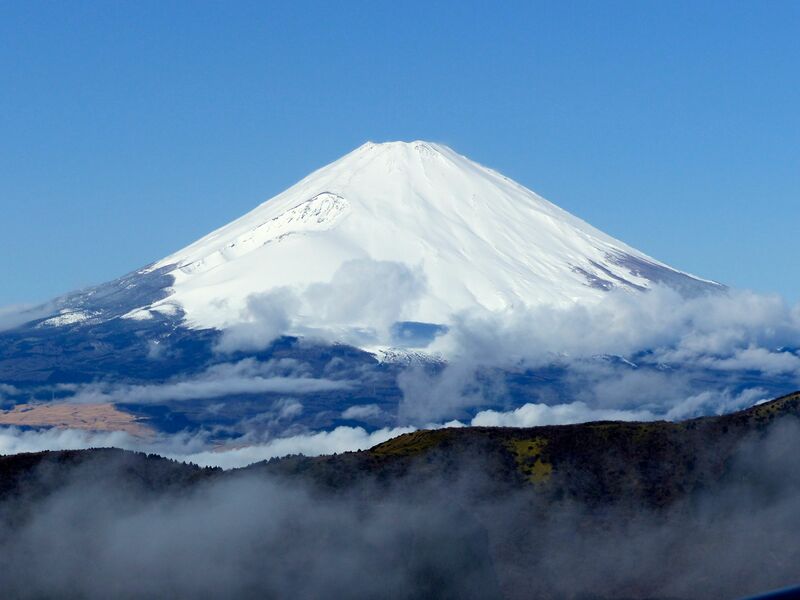 Fuji, where it is often hard to see the mountain because of haze and fog. But we got an awesome view – as you can see! Dan bought some black eggs, which are hard boiled eggs cooked in the sulphurus-iron hot springs. They look weird (shells are completely black) but taste about the same. 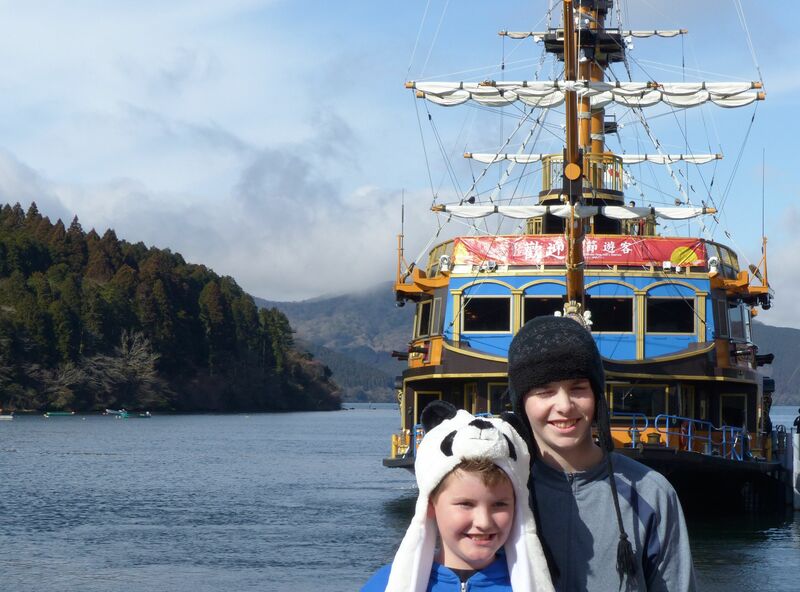 Cable car ride down the mountain, followed by a pirate ship ride across Lake Ashi. Then to the Hakone Open Air Museum, which is basically a giant sculpture garden, with cool climbing structures for kids, and an entire Picasso museum. And, more hot springs to some hot feet in. All in all, great day. Back on the ship tonight for a one day trip to Kobe and Kyoto!